You'll be £13.50 closer to your next £10.00 credit when you purchase US Marine Corps Women's Reserve. What's this? When the US Marine Commandant, Major General Thomas Holcomb, announced the formation of what became the US Marine Corps’ Women’s Reserve, legend has it that the portrait of the fifth Commandant, Archibald Henderson, fell off the wall and crashed to the floor – ‘in disbelief’. This branch of the US Marines was authorized by the U.S. Congress and signed into law by President Franklin D. Roosevelt on 30 July 1942. This law allowed for the acceptance of women into the reserve as commissioned officers and at the enlisted level, effective for the duration of the war plus six months. The purpose of the law was to release officers and men for combat and to replace them with women in shore stations. The result was that between 1943 and 1945 the women of America enlisted in their thousands to ‘Free A Man to Fight’. 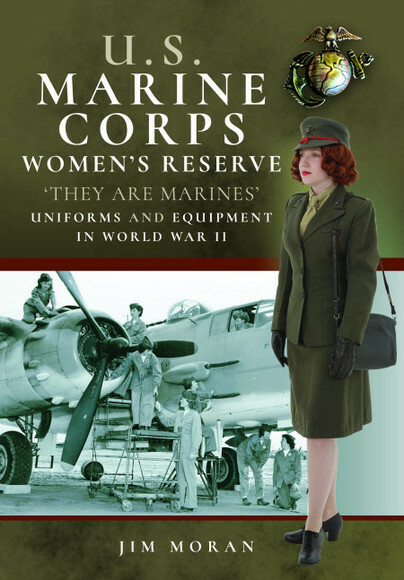 This book, the first of its kind, explores in detail the role of Women Marines, or WRs as they were known at the time. It also presents a detailed study of the uniforms of the WRs supported by numerous colour photographs. This book has been written with the full support of the US Marine Corps Histories Division, the Women Marine Association and surviving WR veterans. Jim Moran's excellent book is split between the history, training, job assignments, administration, duty in Hawaii, special units and decorations, and then has a superb look at uniforms and equipment with both period and modern photos. Printed in colour on nice paper. Jim Moran offers us again a fresh and interesting work, a perfectly documented account with all the details of the role assumed by the women during the war (known as WR at that time) together with an in-depth study of the uniforms and Complements, all supported by numerous photographs in color and b/w that will delight the painters of figures, historians and researchers. author has taken the time and effort to produce this superb tome. Newly-published images have given a rare glimpse into the groundbreaking role female marines played during World War Two. The photos appear in a new book, US Marine Corps Women's Reserve by Jim Moran, which explores in detail the role of female Marines, or WRs as they were known at the time. It also presents a detailed study of the uniforms of the WRs, supported by numerous color photographs. Born in 1954 in Sheffield, England, Jim Moran lives in Yorkshire with his wife and daughter. Following a grammar school education, Jim has had a forty-year-long career as a civil engineering surveyor working on major highway and airbase construction projects, both in the UK and overseas. Jim has been a student of the history of the United States Marine Corps, massing a huge collection over the past forty years. He has assisted Hollywood productions on uniform and equipment details for Flags of our Fathers, The Pacific (HBO mini-series) and Windtalkers. 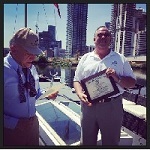 Jim is an associate member of the Second Marine Division Association, US Marine Raider Association, Marine Corps Association, and US Marine Corps League as well as being the 'on-board' historian to the US Marine Corps League, Det 1088 (UK).On 25 June 2018, after over 40 years of meticulous research of his ‘Beloved Corps’, Jim was acknowledged with the great honour of becoming a US Honorary Marine in a presentation in London by P T Brent, Director, Marine Corps Heritage Foundation.